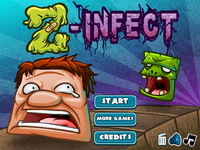 Description: The zombies are coming in After Sunset 2! Fight from the rooftops of 4 different locations as you gun down waves of approaching zombies. Look out for emergency airdrops and watch your back – these zombies are sneaky! Aim for the brain and put them back in the ground.